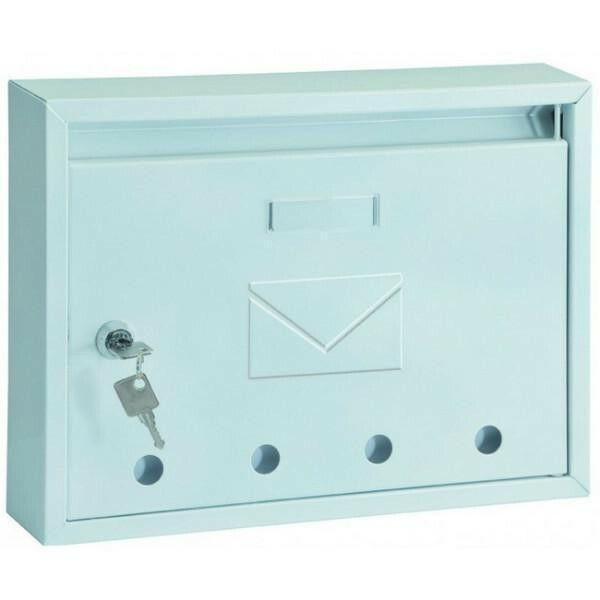 The Pro First 100 White Mailbox offers a classic design with a picture of an envelope embossed on the front door. It also has a name plate window. Made from high quality rustproof steel, it is secured by a key lock supplied with two keys. Small Mailbox with a classic design. Pre-drilled holes on the front so you can see if you have mail. Also available in Brown, Stainless Steel and Silver.